Utilities will tell you that the smart grid is about reliability, and for the most part that's true. A smarter grid can perform self-diagnostics, warn operators of impending failures before they occur, and pinpoint unexpected failures so they can be repaired quickly. Even better, it can automatically reroute power to minimize the area affected by a blackout. That's great for the customers and the utilities alike, but there's more to it. A smart grid is also essential in order to move toward renewable energy sources. Grid operators are constantly balancing supply and demand. Every watt that consumers draw must be generated, and every watt that's generated must be dissipated somewhere. With so-called "baseload" power coming from coal, oil, natural gas, and nuclear plants, it's pretty easy to account for the generated side. Peaker plants can be fired up relatively quickly to cover the high demand that usually occurs in the late afternoon and early evening. But renewable energy sources such as solar and wind are less predictable, making it a challenge for grid operators. Net-metering laws, which let homeowners with wind or solar generating capabilities sell energy to the grid, complicate the matter even further. For that reason, utilities are turning to grid-level storage, which allows the grid to store excess energy when supply exceeds demand and use the stored energy when demand exceeds supply. 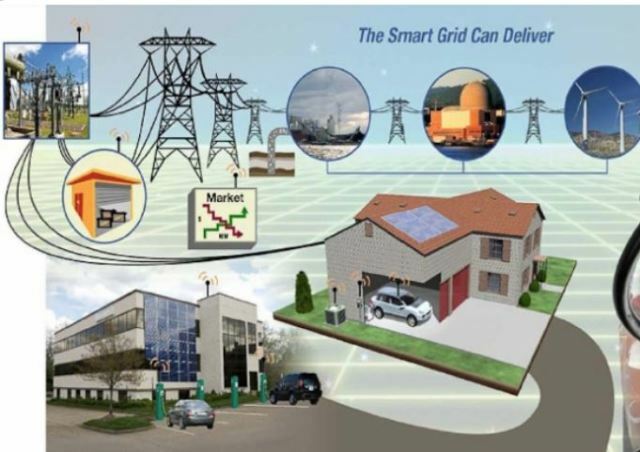 The smart grid helps power companies automate the flow of energy to and from these storage systems. Another way that utilities plan to use the smart grid is to modify user behavior through financial incentives. In effect, power companies want us to use less electricity during peak demand hours, and they're willing to give us a discount on energy if we buy it during off-peak hours. Oh, yeah … they're also going to charge much higher rates during peak demand hours. 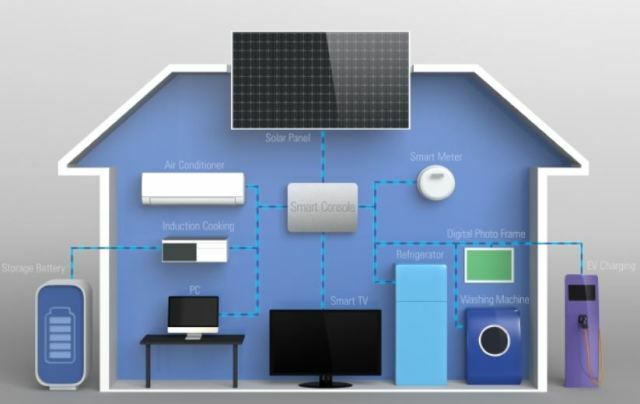 And that's where the smart home - coupled with a smart consumer - come in. The New Hampshire Electric Cooperative is allowing residential and small business customers choose a pricing scheme that works for the consumer while reducing stress and excessive demand on the grid. As part of the program, customers receive notification when local demand is high, allowing them to voluntarily reduce energy consumption to avoid peak charges. 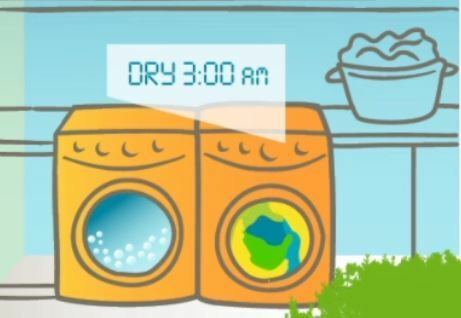 Customers also use smart appliances that communicate with the grid via their smart meters, ensuring that water heaters, space heaters, and air-conditioners don't turn on during peak demand hours. In fact, the appliances can be partly controlled by the utility. For example, the power company may see that the temperature is high, which means everyone's air conditioners will be running. If many of them turn on at the same time, it creates a high demand event. Utilities can control the air-conditioners so they turn on in a round-robin fashion. The consumer doesn't notice a difference in comfort, but demand curve is smoothed out, so the utility doesn't need to bring an expensive peaker plant online. There are two ways to improve one's financial status: 1) spend less money, and 2) make more money. The same is true for energy. It's great to reduce consumption, but it's now affordable for consumers to generate some of their own electricity. In the past, I've said that energy storage is too expensive for homeowners. If you're on the grid, a grid-tied system with net-metering is the best option. The biggest downside to this is the lack of backup power during a grid outage. But net-metering laws are likely to change in the near future, partly because utilities don't like paying retail value for electricity from your PV array, and also because widely distributed energy resources are difficult for grid operators to manage. The changing rules, combined with the decrease in the cost of home energy storage and the looming ToD/Demand pricing, could make it cost-effective to add battery storage to a PV system. Undoubtedly you've heard of the Tesla Powerwall, but it's not the only player in this game. (Side note: Tesla recently announced that it's removing the 10kWh version from the product line but will keep the 7 kWh model on the market for now.) Although the Powerwall will work with along with PV, it's not delivered as a package unit. JuiceBox Energy offers a storage unit that's designed to integrate photovoltaics as well as providing load shifting, demand reduction, and backup power. JuiceBox has installed several "self-consumption" systems, allowing customers to use most, if not all, of what they generate on site rather than relying on net-metering. The JuiceBox is compatible with a hybrid inverter that operates in grid-tied as well as stand-alone mode. The JuiceBox can be programmed to optimize energy transfer between the PV array, the battery bank, and the grid. During peak hours, it runs the house on PV and battery power. During off-peak hours, it ensures that the battery bank is charged, and if the PV array is still generating power while the batteries are full, then it sells electricity to the grid. If the grid goes down, it automatically disconnects from the grid and runs the house on just PV and battery power. Currently, the JuiceBox comes with 8.6 kWh of storage. The company doesn't publish its prices, but I'm assuming it's comparable to a Powerwall - somewhere in the $4000 neighborhood.